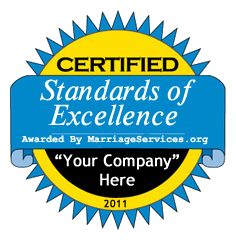 Striving for Honesty and Integrity in the Marriage Service Industry. Welcome to MarriageServices.org! We help men and women discover the best online dating agencies and avoid the worst ones. We offer online articles, discussion forums, and dating site reviews to help people decide which marriage agency will work best for them. Finding the love of your life is an important adventure; it doesn't make sense to place that in the hands of an unreliable dating company. MarriageServices.org will help you learn about the best dating sites, why they are the best, and what features they offer. We will also tell you which services to avoid, and why. It's a jungle out there in the online dating world. It helps to have a guide. Let MarriageServices.org be YOUR guide to the perfect dating site! Find the Best – Avoid the Scam! The online dating community continues to grow rapidly, but is that a good thing or a bad thing? While you have more choice than ever, you also have to deal with a large percentage of marriage agencies just out to get your money. Unfortunately, many of the online marriage agencies you find are actually just scam companies trying to take advantage of you. They will use many different tactics, like sending bait letters to men just so they will pay to reply. Many women will request money for a plane ticket to come visit, with no intention of actually visiting. MARRIAGESERVICES.ORG is dedicated to filtering out these scam companies and weeding out the shabby ones so you can choose from the best of the best. You are making one of the most important decisions in your life, so why place it in the hands of a company that will take advantage of you? Get the Facts! Come to MARRIAGESERVICES.ORG and learn about the best marriage agency for you! Always look for the MarriageServices.org Seal of Approval on dating sites you want to use. The world of online dating has exploded over the last ten years, but that attention has also attracted a lot of fraudulent activity to the industry. The point behind Marriage Services.org is to help online daters avoid those scams to find the most reliable dating sites around. The MarriageServices.org Seal of Approval is our sign that a dating website is safe to use. From the website's contact information to the clarity of their pricing options, this Seal of Approval means the dating site you are visiting has a focus on customer service, few complaints, and does not use fraudulent business practices. "The MarriageServices.org Seal of Approval - If You See It, You're Safe!" The 2013 iDate Awards were held on January 18th at Caesar’s Palace in Las Vegas with eHarmony CEO, Dr. Neil Clark Warren, in attendance. The iDate Awards are held every year during the annual iDate Convention and honors some of the most successful, innovative, and unique leaders in the online dating industry. The iDate Awards are a fantastic chance to discover new companies that are expanding on interesting new concepts and innovations. They give honors to the most successful companies in categories such as Best New Technology, Best Dating Coach, and Most Innovative Company. The winners are determined by the amount of votes each candidate received from their peers, friends and co-workers before the convention begins, so some campaigning is involved. However, the awards give a strong representation of the new and upcoming business and business-people that are changing the landscape of love and relationships over the internet.